When you’re looking at modular offices, you need to think about rectangular office spaces, similar in some ways to pre-constructed or prefabricated trailers that are set up to provide the necessary supervisor or office space and by going with the portable option. These prefabricated steel mezzanines are built specifically with flexibility in mind. They can be constructed inside of a large factory or warehouse type building to provide the necessary space, or they can work independently outdoors as its standalone office space, such as with a construction site for the foreman. Where To Find Custom Mezzanines Online? Looking for cold-rolled mezzanines or freestanding mezzanines? Learning where to find in-plant office systems online isn’t hard, but the key is to make sure you look at all of your options because you don’t want to settle for a second hand office space when there are so many high quality options available. Panel built has the best modular mezzanines available for sale online. These days you can even find cold-rolled mezzanines available online. When you’re looking for companies that sell steel mezzanines online, remember that price is only one part of the equation in finding the perfect set up for your particular needs. Saving some money won’t help in the long run if you end up choosing a mediocre office that only haphazardly meets some of your specific needs. Cheap Panel Built mezzanines online are available, but you should only trust Panel Built. 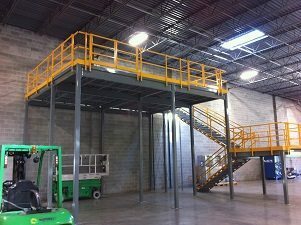 Office mezzanines are specifically engineered for flexible design, ease of installation and durability. Mezzanines by Panel Built provide safe, quiet in-plant offices for staff and visitors. Whatever your space need, Panel Built has a modular building solution. Need help planning your modular office system? Panel Built’s world-class engineering and customer service stands behind every modular office installation. Mezzanine offices are the perfect way to keep your employees comfortable in a warehouse or manufacturing environment. Panel Built prefabricated steel mezzanines provide a clean, well-lit and temperature controlled workspace. Put your prefabricated modular buildings on a mezzanine for the most efficient use of space and a bird’s eye view of the facility. Ideal for offices, break rooms, cooling booths, observation towers, clean rooms and equipment enclosures. Panel Built’s structural mezzanines promise heavy duty industrial platforms that are excellent for supervisory in-plant offices, metal range towers, vision towers and more—Mezzanine-Built mezzanine systems from Panel Built, Inc. provide a clear view of plant work areas and convert wasted vertical space into productive work environments. Mezzanine-built powder coated steel mezzanines are built to your specification—custom sizes, heights, spans, decking materials, landings and stair systems. 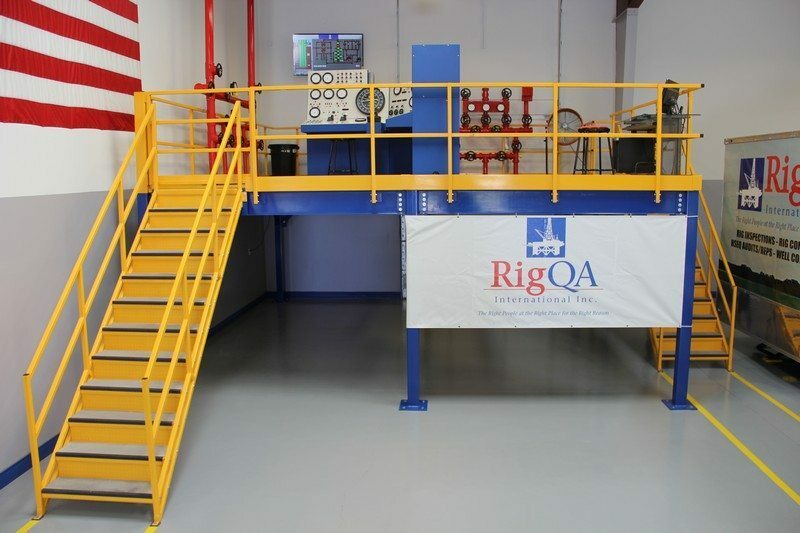 Heavy-duty and long-lasting, Panel Built provides the safest, lowest-maintenance, and most productive 2-story metal structures available today when searching for prefabricated steel mezzanines online. For example, Panel Built’s Engineering Department designed a unique structure that had cut-outs for the steel sheeting to be fed directly through the bottom of a building, passing by high speed cameras that detect any imperfections. The steel then goes through the roof to an outside roller and returns through the roof on the opposite side, where an inspector can stop the line and personally inspect the steel in question before it continues down the line to be put on rolls and stored. And don’t forget innovation and customization. When combining Panel Built’s modular in plant offices with Mezzanine-Built mezzanines, you have a strong and innovative structure that can be re-configured, moved, or expanded with ease. The best modular mezzanines available for sale come with sturdy, powder-coated steel components that provide an attractive glossy finish that is easily maintained. Match that with modular in plant office wall panels and you have a completely pre-fab, modular, expansion solution. Our wall panels are offered in a number of colors; in a variety of panel finishes; R-factors; chemical resistances; and fire ratings.